New research shows that brands can help drive healthier food choices through better packaging. The statistic that 70% of purchase decisions are made in store has often been quoted by the packaging industry as a Clarion Call for more investment in packaging. However, a new report caught the eye of the packaging PR team at Pelican. The report says that packaging could do a better job in driving consumers to make healthier food choices. 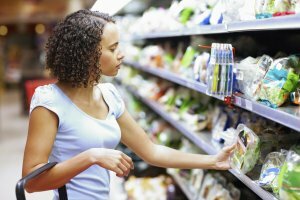 More visual and less numeric label information could be the way to bolster healthier food choices, according to a new study from the FSA (Food Standards Agency). Conducted in Northern Ireland, the study claims food labels are often ignored when buying ‘the usual’ groceries in the weekly shopping list. Most Northern Irish consumers described their shopping behaviour as routine and repetitive. They tended to use labels just for identifying specific ingredients because of dietary of allergy requirements or occasionally to scrutinise a new product. The FSA says the new findings suggest more uniformity between labels and better visualisation – for example bigger font sizes for the many shoppers struggling to read the information – could help consumers make better decisions at a glance. 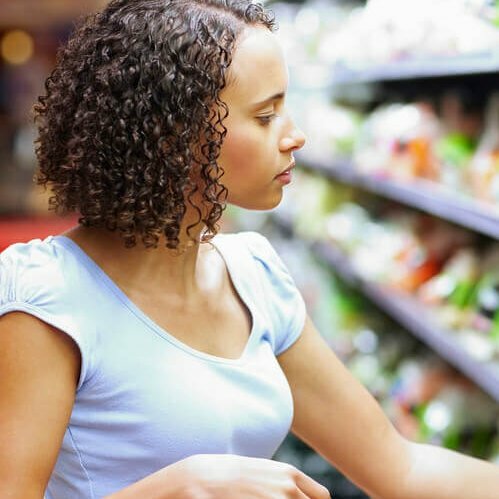 “In¬store shoppers often only allow seconds to consult a food label before purchasing and participants relayed that any information given should facilitate a snap decision in the food aisle,” the researchers said. The researchers found consumers want more understandable label information, particularly regarding nutrition and portion size, which the researchers believed was due to social trends towards healthy eating. Whilst this study only involved 64 participants – both supermarket and online shoppers – in eight focus group discussions, it does raise some interesting questions for brands and retailers, especially when it comes to healthy eating. As we have a specialism in packaging marketing and communications, we’re wondering if there’s a marketing advantage to be had through developing packaging that highlights the health advantages of your food? This doesn’t necessarily mean adopting a health platform, rather promoting the inherent benefits of your products. A good example is potatoes, which have lost market share to pasta, rice and other carbohydrates. According to the AHDB children get more Vitamin C, B1, B6, folate, iron, magnesium and potassium from the contribution potatoes make to their diet than from so called superfoods like beetroot, bananas, nuts, broccoli and avocado. But have you ever seen this type of information on those 2.5kg poly bags of potatoes? Whilst there seems to be endless commentary on the complexity of food labelling issues and controversial product health claims: this short report might just get some packaging designers and brand owners thinking again about their packs.